The clubhouse reno’s are now complete, so come on down to check out the fantastic new space. The next big renovation is going to be this website haha. 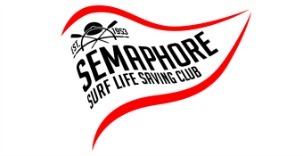 At the Semaphore Surf-Lifesaving Club we promote a friendly family atmosphere where both children and adults can enjoy the sporting and social rewards of the surf-lifesaving culture. This atmosphere strengthens family bonds and creates an open and friendly environment where members are made to feel welcome whether they are new to the club or have been part of our tradition for over 40 years. We’re located 2 KMs South of Semaphore Road, adjacent to the Semaphore Holiday Park. Manage your subscription to emails right here.